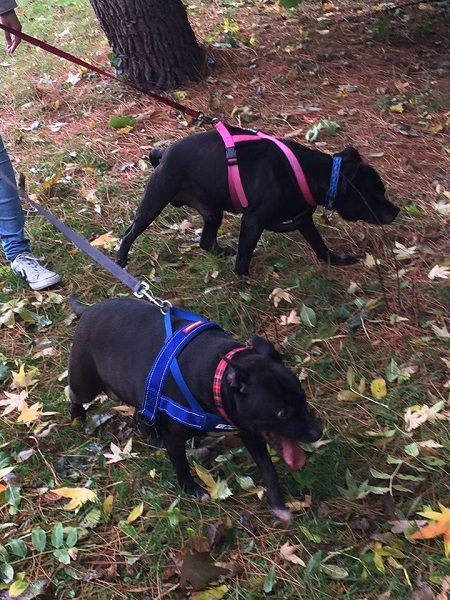 11/4/19 – Roxy has found a home! 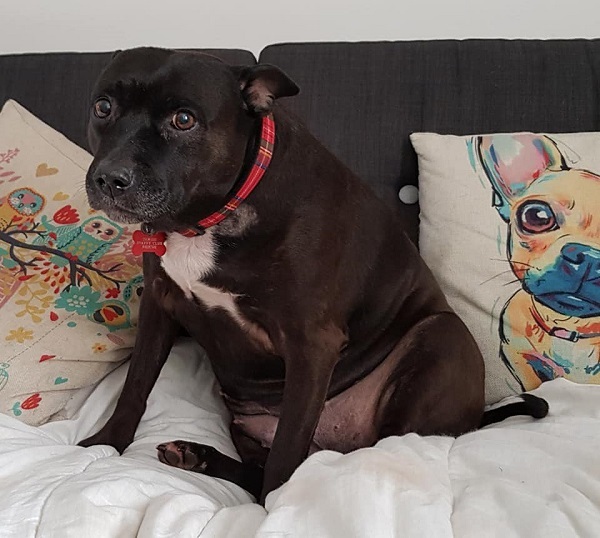 Roxy is a happy and loving 11-year-old Staffy girl who is with Senior Staffy Club because her owners had to move house and Roxy couldn’t go with them. Roxy is in a foster home in Birmingham. 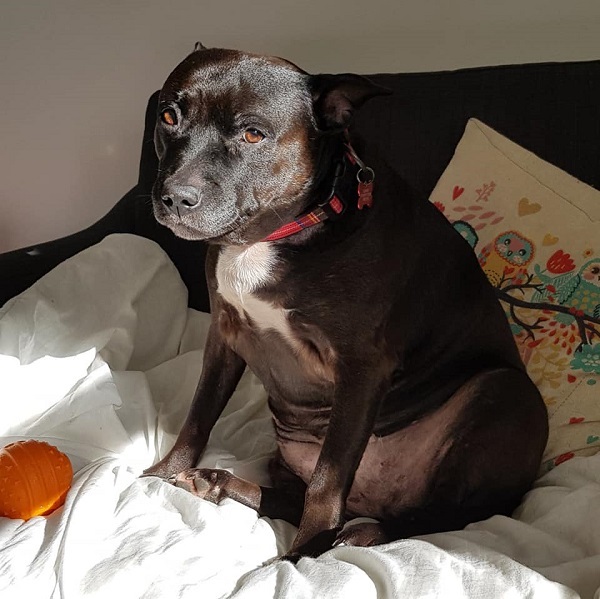 Roxy loves people and always has a waggy tail and a cheeky grin. She is fine to live with children and is suitable for children aged 6 years plus, who are gentle and dog-savvy. Roxy loves going out for walks but gets a bit tired, so three short walks a day are best for her, especially as she needs to shed a few pounds. 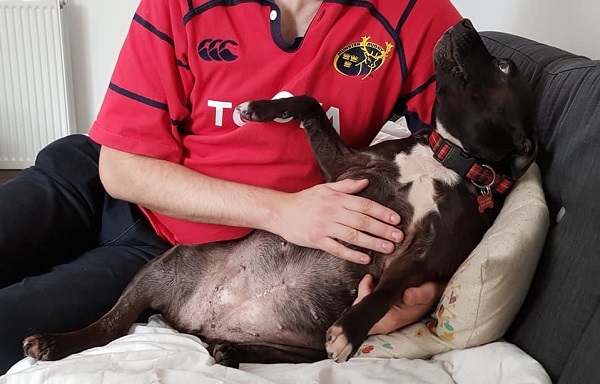 She is really good on the lead and is fine when meeting dogs on walks, so although she hasn’t lived with a dog before, she might be able to live with a calm, friendly dog, pending successful introductions. She can’t live with cats. Roxy likes pottering in the garden and loves snoozing on the sofa, snuggled into a blanket. She likes to play with toys and loves cuddles with people. She’s not very keen on the car, but maybe just needs time to get used to car travel. Roxy isn’t very happy about being left for any length of time, but is getting better, so with a bit of understanding and patience she could probably build up the length of time she is left. 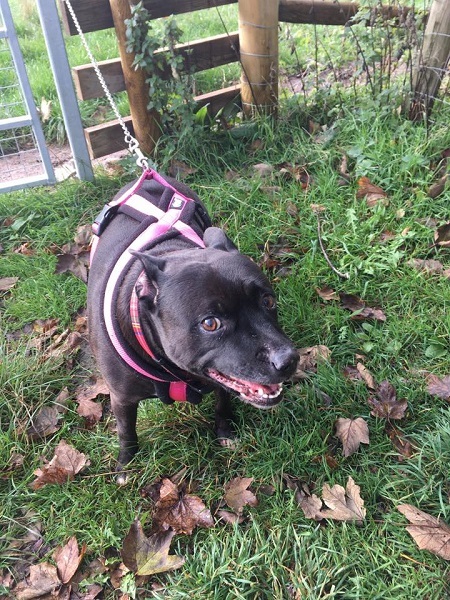 Could you offer cuddly Roxy a lovely new home? Please mention that you saw Roxy on the Oldies Club website.